One of our favourite projects at the moment is a cross media marketing campaign for the new Mervyn Stewart ŠKODA showroom in North Down. In January, their marketing manager Nikki approached us with a problem. 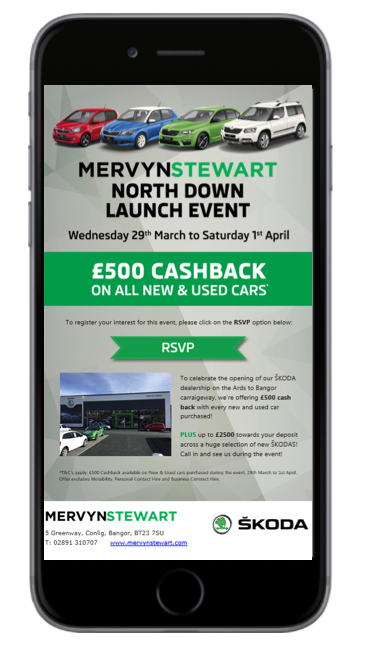 They were hosting a launch event at their new showroom, but their current system for marketing events was frustrating and time consuming. Their previous process was to send a generic email to their customers. They then had to coordinate several agencies to design, print and distribute a direct mail leaflet. They also had to call every customer to see if they would actually be attending, as there was no way to collect RSVPs with this method. 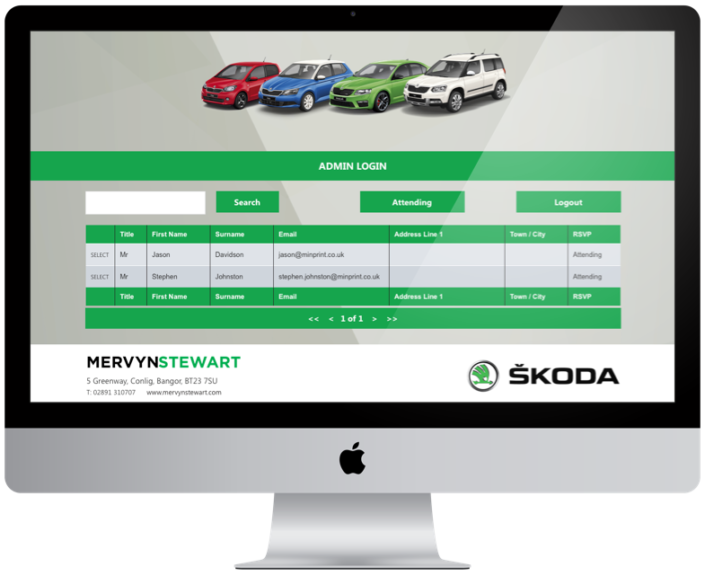 We proposed a solution to streamline the process using our Cascade Cross Media system, which combines web, email and print marketing into one system. It enables marketing campaigns to run seamlessly across multiple channels and types of media – that’s why we call it “cross media” marketing! The campaign included a personalised email invite and direct mail postcard that directed invitees to a personalised website, where they could RSVP. Because the whole system is linked to the customer database, the website was able to autofill customer data. We also built an admin portal on the website where Nikki could manage and add details of all attendees, keeping all the information easily accessible in one place. 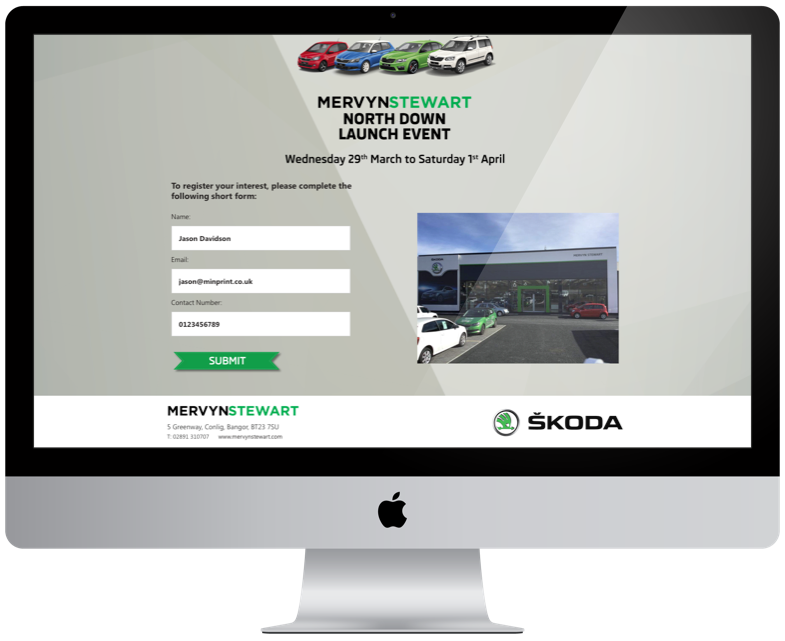 The system was perfect for the Mervyn Stewart team, as it took away the frustration of having to coordinate so many processes to promote their event, and gave them more control over the management side of the event. 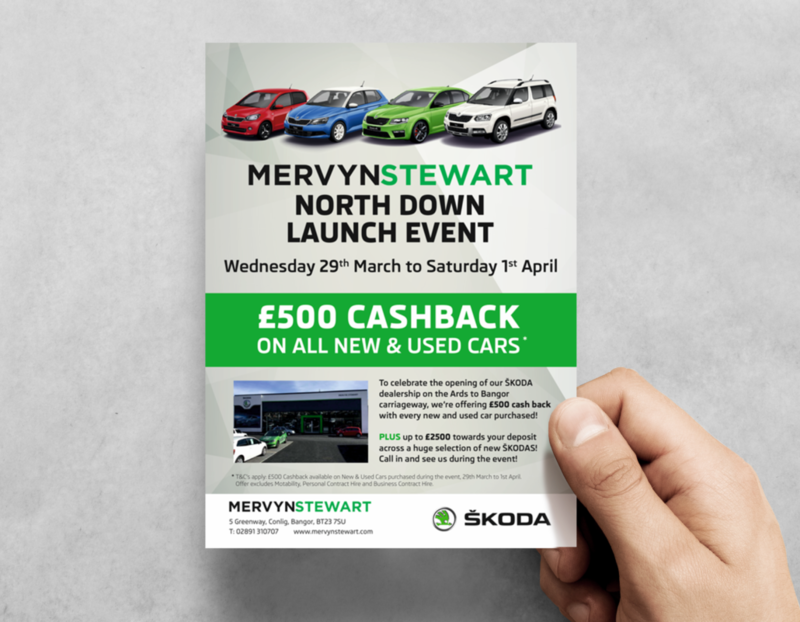 The launch event is happening until Saturday 1st April. 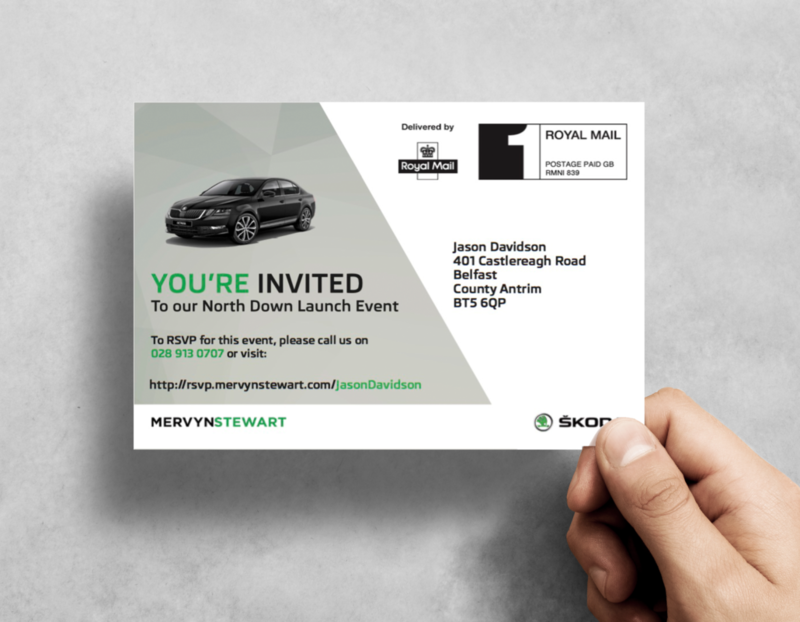 To RSVP visit rsvp.mervynstewart.com and if you think our system could help take the stress out of your next event then get in touch here.